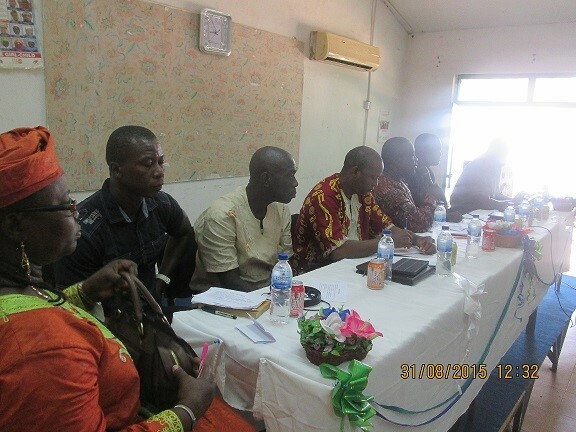 Officials of the National Social Security and Insurance Trust (NASSIT) accompanied by Embassy Staff and members of the Teacher’s Union, are in Basse the border town of The Gambia and Senegal as part of NASSIT’s two weeks operational expansion drive in a bid to sensitize Sierra Leoneans living in the Diaspora. On arriving at Basse over the weekend, the Team lead by the Head of Chancery Andrew Kamara pay a courtesy call on the Deputy Governor in- charge of the region, Former Ambassador to Sierra Leone Ambassador Chernor Barra Touray, informing him of their purpose of visit, among which is to protect the interest of Sierra Leoneans with regards NASSIT. Responding, Ambassador Touray on behalf of his Government expressed delight in the visit from a sister country. “Your mission is very important to build closer relationship as per the bilateral ties between the two countries” he said. Ambassador Touray informed that Sierra Leoneans living in his region are very peaceful and therefore are considered as family members. Addressing the well organized and crowded gathering of citizens, Mr. Hassan Kalokoh the Director of Actuarial informed that the visit is to further open up NASSIT to them, with regards the need to contribute to the scheme, its benefits and as to how to protect the interest of those that have contributed to the Scheme and to welcome new contributors. He informed that even while they are in Gambia and contributing to the Gambia Social Security Scheme, modalities are being worked out between the two governments to ensure that monies contributed are remitted back home to NASSIT. The Acting Director of Operations NASSIT Mr. Kandeh spoke lengthily on the scheme’s operations, giving a background of NASSIT and the formal and informal sectors. In another engagement, with regards the expansion of the Trust and the development of the country, the NASSIT Team through the effort of the Embassy met with Head of Institutions and private Enterprises in The Gambia. Ambassador Soulayman Daramy referred to them as Institutional Heads of Sierra Leoneans in the Gambia that have ‘put their shoulders to the wheels to make perfection real’ and that though busy they are, they should not be left aside. The Head of Chancery Andrew Kamara gave a brief background of the purpose of the NASSIT visit and as to how it would benefit all and sundry and develop the country. He informed that both Sierra Leone and the government of The Gambia have signed a memorandum of understanding with regards services and other related issues. 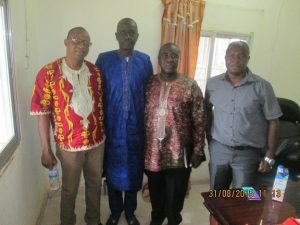 Both NASSIT experts Mr Kalokoh and Mr Kandeh gave an in-depth of NASSIT and its activities and as to how the Trust would benefit individual and collective contributors. They further informed that modalities are presently in the pipe line to introduce a National Health Insurance Scheme, noting that there is a need to be part of it all, as it entails enormous benefits. Both meetings gave time for a question and answer session. The Director General of NASSIT Joseph Mans who had earlier led the Team has returned to Freetown after having successful meetings with Government Ministers, Head of departments and members of the general public.